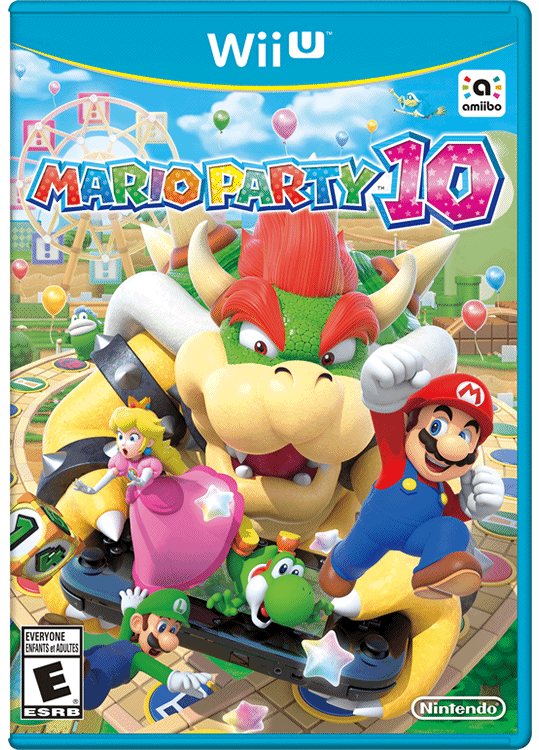 Mario Party 10 is the latest entry in the long-running Mario Party series from Nintendo. Mario Party 10 includes a new mode called 'Amiibo Party' that uses one of 9 select amiibo figures as in-game player pieces! Players can also scan in any other amiibo figure once a day to play a Scratch Bonus mini-game! Nintendo released a new series of Super Mario amiibo figures alongside Mario Party 10, but the game is compatible with the characters' Super Smash Bros. amiibo figures as well. Nintendo also released a special Mario Party 10 amiibo bundle alongside the standard game. Click Here to learn more!